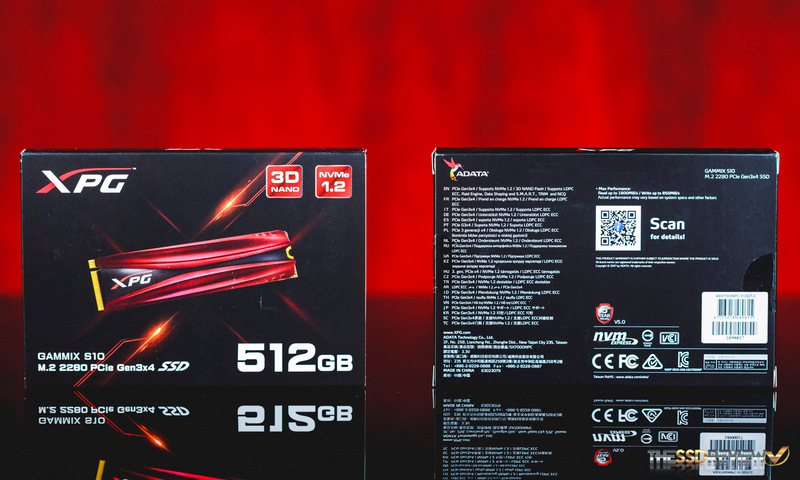 Last year, ADATA’s gaming branch, XPG, released their newest product line, the Gammix series, and within that, they released the XPG Gammix S10 M.2 NVMe SSD. 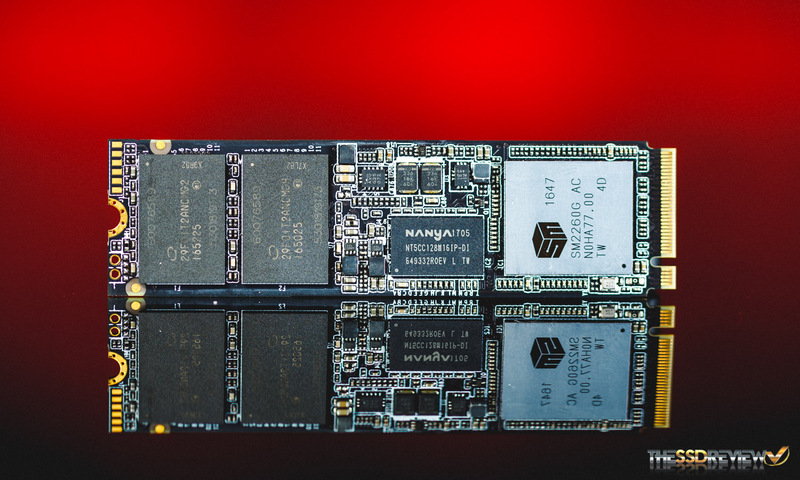 This SSD is quite sleek and high-end looking, with its flashy red with black heatsink and blacked out PCB, but its performance doesn’t quite match its looks. 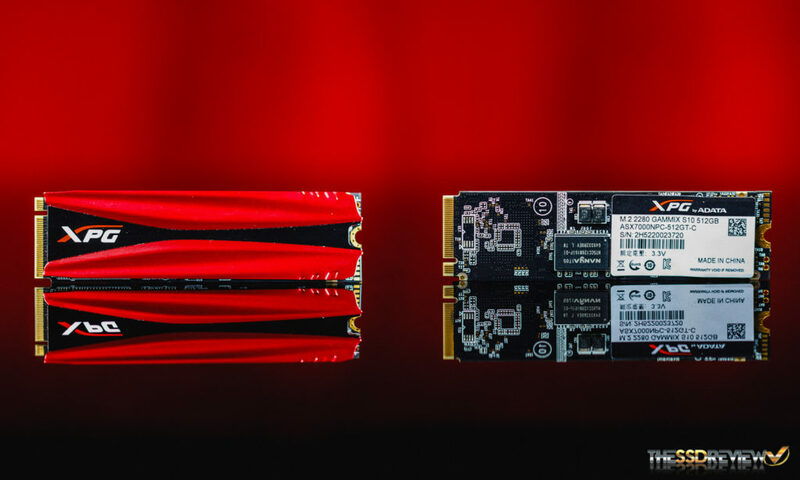 Although one would think that because it comes with an added heatsink that it is one of the fastest hottest running SSDs out, the truth is actually the contrary. It features a Silicon Motion SM2260 controller and Micron’s first gen 32-layer 3D TLC NAND, which is the same hardware as the slowest NVMe SSD we have tested to date, the Intel 600P. It’s not a terribly bad thing though, it’s just not quite the beast one would be led to believe it is judging by appearance alone. It is, however, stated to deliver faster write performance than the 600P, so there is an improvement we look forward to seeing in today’s testing. 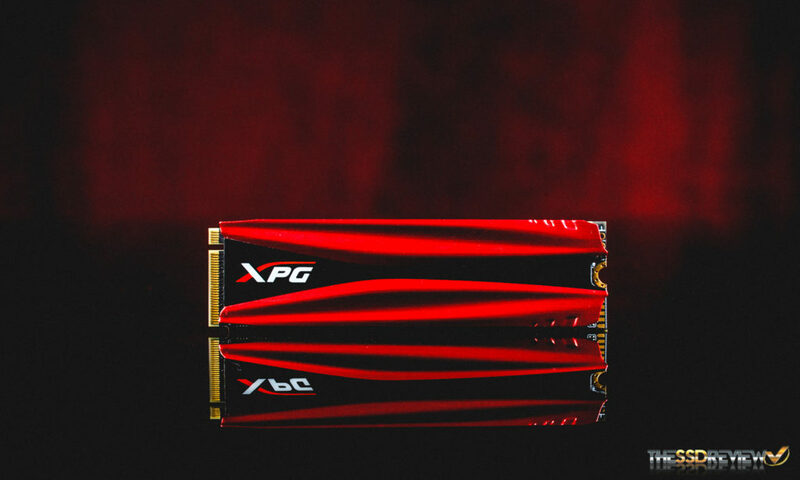 While it falls into the entry-level NVMe SSD category, ADATA states that the XPG Gammix S10 was “built for professionals: ideal for gamers, PC enthusiasts, overclockers and visual effects editors.” So, we will see if that statement really holds true at the end of this review. Is the XPG Gammix S10 truly built for professionals? Can it handle their workload demands? 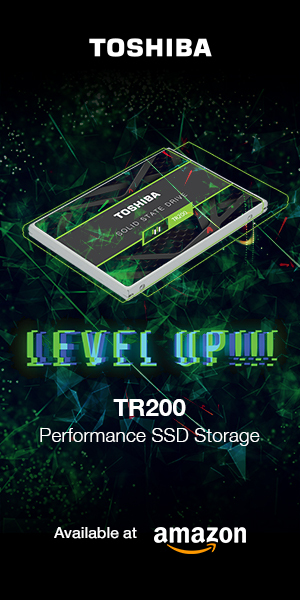 Will this new SSD deliver more oomph than what the Intel 600P could? Read on and find out! The ADATA XPG Gammix S10 is a PCIe 3.0 X4 NVMe SSD that is available in an M.2 2280 form factor. Capacities are currently available in 128GB ($62.99), 256GB ($99.99), 512GB ($164.99), and 1TB ($479.99). It offers sequential read speeds of up to 1.8GB/s and sequential write speeds of up to 850MB/s. It also offers 4K random performance of up to 130K/140K IOPS read/write. The endurance is rated at 80TB for the 128GB model and up to 640TB for the 1TB model. Reliability is a big focus of ADATA and thus, every component on the Gammix S10 passes meticulous screening, testing, and certification before it is packaged for sale. With that said, it is the reason why it has an MTBF rating of 2 million hours and is backed by a 5-year warranty. The Gammix S10 does not support hardware encryption, but it is still packed with features. It meets all the NVMe 1.2 standards and supports TRIM, Secure Erase, SMART, and it has an SLC cache that helps boost write performance with its relatively “slow” 3D TLC NAND. The S10’s controller also supports LDPC ECC and has a built-in RAID Engine to enhance data protection and extend the SSD’s lifespan. Additionally, ADATA provides their end users Acronis True Image for cloning your old drive to your new one as well as an SSD Toolbox. 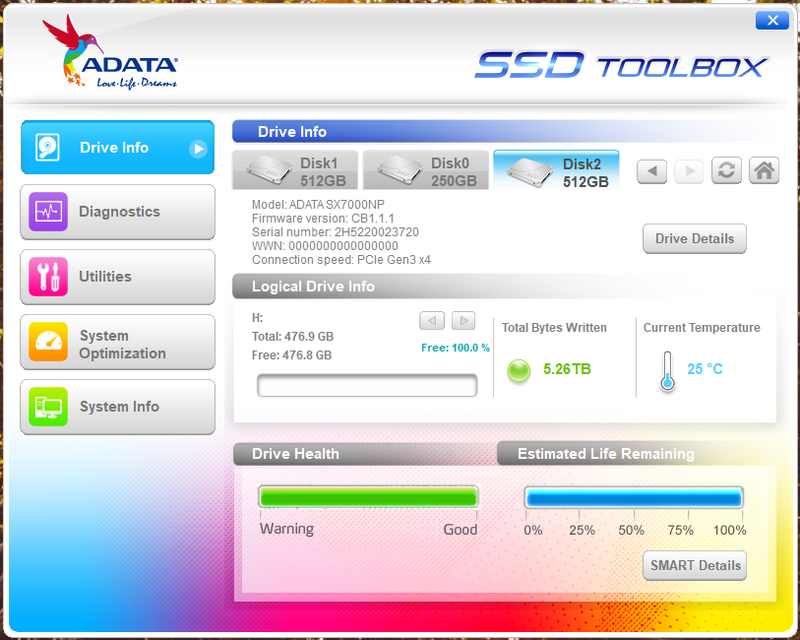 With the SSD Toolbox you can do diagnostic scans, secure erase the drive, update the firmware, tweak your system, and/or just monitor the SSD. Judging by the ADATA XPG Gammix S10’s packaging, one would think straight away that this SSD is a top of the line storage device. 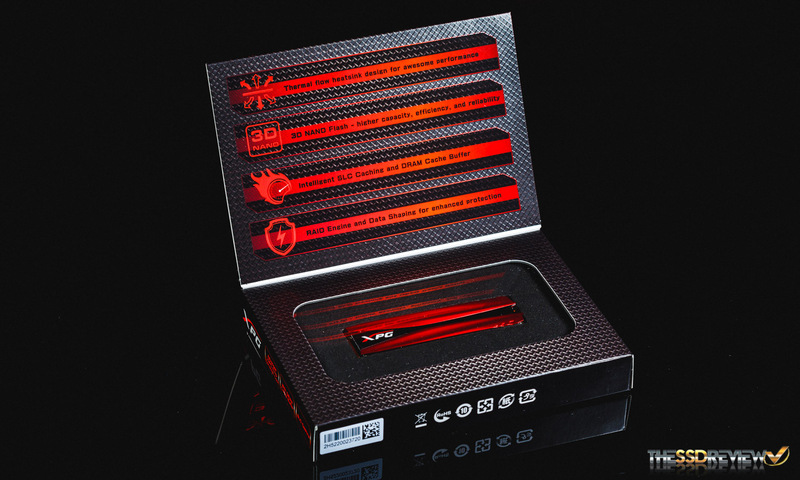 On the front is a slick design featuring a cool image of the SSD and red blade-like illustration behind, but what really sets it off is the magnetic flap that allows you to preview the SSD in its thick foam encasing. Everything you could want to know about this device is in your face and the packaging just oozes a high-end/quality vibe. Like the many other manufacturers out, ADATA did their homework on aesthetics. In terms of looks and cooling, the XPG Gammix S10 provides users what they want in an M.2 SSD. The black PCB and black and red streamlined heatsink provide for both eye-catching looks and cooling that is stated to deliver a 10°C cooler temperatures than without. Looking at the components, we can see that our XPG Gammix S10 utilizes four of Micron’s first gen 32-layer 3D TLC NAND packages and that once our 512GB model is formatted in Windows, we have 476GiB of usable space. 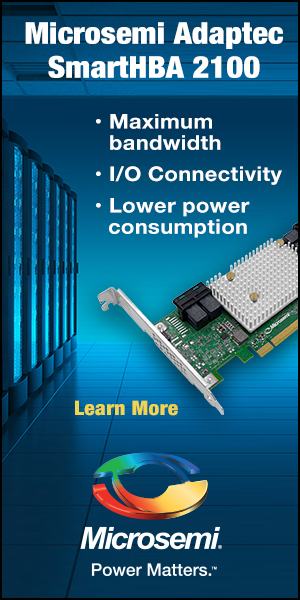 Additionally, it features Silicon Motion’s SM2260 PCIe 3.0 x4 controller and a NANYA DRAM buffer to deliver its performance. With a 300MB/s lead in write performance over the Intel 600P, we are hoping to see sizable improvements in PCMark 8’s storage tests. Let’s continue on to see if ADATA’s XPG Gammix S10 is able to deliver the goods. Mr. Webster, thanks for the review as usual. Man oh man, these are some rough benchmarks. A solid notch above the worst drive. In the 30GB transfer test it abysmally gives way to 850 EVO? I certainly agree with you, there is no way this is a device for “professionals”.